Posted August 30, 2017 by Alec Smart & filed under Bondi View. In the forthcoming 2017 Local Council Elections, the political outcome of the City of Randwick is unpredictable. Although Randwick Council used to be a Labor stronghold, the Liberals and the Greens have had success there in recent years. But the failed merger with Waverley and Woollahra Councils could see a couple more seats headed Labor’s way at the upcoming council election on September 9. According to election website The Tally Room, no one party is expected to dominate this election but “it wouldn’t be surprising if Labor bounced back to seven seats” from the five they currently hold in Randwick. Unlike neighbouring councils Waverley and Woollahra, which are made up largely of Liberal councillors, Randwick Council consists of a fairly equal mix of the major parties. The Liberal and Labor parties currently hold the most seats, while the Greens hold the balance of power. Randwick Council covers most of Sydney’s south-eastern suburbs, from Clovelly to Botany Bay. The Council is divided up into five wards: Central, North, South, East and West. The Labor and Liberal parties are running candidates in all five wards, and the Greens in four. The potential swing towards Labor could be explained by the State Liberal Government’s failed attempt to merge Randwick, Waverley and Woollahra into one large ‘Eastern Beaches Council’, a policy that attracted criticism from residents and councillors alike. 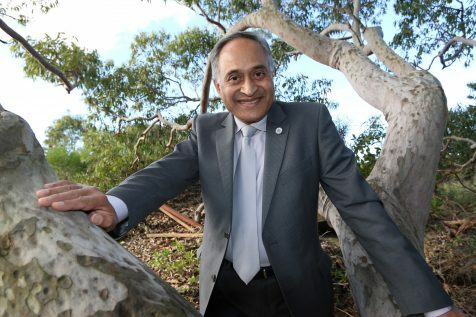 On July 27, Randwick Mayor Noel D’Souza announced that the council would be seeking $460,000 in compensation from the NSW Government for costs incurred preparing their internal systems for the merger. “The NSW Government’s now defunct Fit for the Future program was orchestrated to force council mergers. They told us ‘no change is not an option’ and created a process that forced mergers,” he said. NSW Premier Gladys Berejiklian has confirmed that these costs will be “taken care of” by the State Government, however they will not be covering the $80,000 that the council spent on legal fees fighting the merger in court. Randwick Council’s strong financial position can be traced in part back to Greens councillor Murray Matson, who introduced the council’s first long term strategic plan and an environmental levy during his time as mayor in 2004. These policies brought in extra revenue while also allowing the council to fund environmental initiatives like their annual Eco-Living Fair. Cr Matson was first elected to council in 1995 and has been Randwick’s Mayor twice. He will be running again this election in the East Ward. He supports the mayor’s decision to seek compensation from the State Government and is relieved the merger is no longer going ahead. “Candidates can now participate in the election without the previous worry that we might all have been dismissed a few months after being elected seats if the Government had won the court challenge,” he said. But now that the prospect of a merger is no longer on the cards, Cr Matson says the Greens want to focus on issues like renewable energy, affordable housing, tenant’s rights and integrating bike paths into the South East Light rail project. Labor MP Tony Bowen also thinks Randwick “dodged a bullet” with the amalgamation, and says that from what he’s seen, the community agrees with him. “The impression I have just from being out and about and talking to people, is that they are very pleased that the amalgamation has gone away, because there was a lot of suspicion,” he said. He was also critical of MPs who were running for election after supporting the merger, particularly after the community voiced their disapproval of the policy. “I just think anyone who has supported the merger cannot go into this election with any sort of credibility on that issue,” said Cr Bowen. Cr Bowen is running for re-election in the East Ward of Randwick. One issue he wants to focus on is overdevelopment, which he says is “keenly felt” in the area. “The story of urban Sydney since the election of this state liberal government has been ‘out with the old, in with the new’, and the new being high-rise developers,” he said.